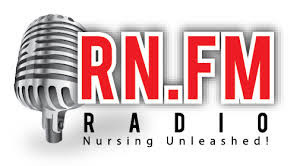 On Monday, May 6th at 9 pm EST, in celebration of National Nurses Week, Susan Sullivan, the Secretary of the National Nursing Network Organization (NNNO), will be a guest on RN.FM Radio, the most popular Internet radio station by, for and about nurses and nursing! On this live broadcast, Susan will be speaking in depth about the National Nurse campaign, the bill now before Congress (HR 485, the National Nurse Act of 2013),and how you can become involved and support this exciting campaign! If you'd like to tune in live, visit this link (http://bit.ly/Yl7Cyt) to listen on your computer, or call (347) 308-8064 to listen over the phone. RN.FM Radio welcomes callers, and also has a live Tweetchat during the show where listeners can interact with one another and post questions or comments to the hosts and guest. Using Twitter, please insert the hashtag #rnfmradio in your tweets, or follow the chat at http://tweetchat.com/room/rnfmradio. This will be an exciting event, and if you miss the live broadcast, it is available immediately for archived listening at http://bit.ly/Yl7Cyt, or as a free podcast on iTunes. Thank you to the many bloggers who have written posts about H.R. 485 The National Nurse Act of 2013 to help get the word out about this important legislation. Keith Carlson BSN, RN who is the lead blogger for Digital Doorway, with permission re-published the National Nursing Network Organization's press release. This includes quotes from the bill's lead sponsor, Congresswoman Eddie Bernice Johnson (TX-30) that highlight her dedication to nursing and improving public health. Click here to read more. Nursetogether.com published a post, National Nurse Act of 2013 Needs Your Support. "If Congress approves, a visible National Nurse for Public Health/CNO, respected and recognized by the nation, will be an impetus to promote local interventions, strengthen the Medical Reserve Corps, and bolster public health infrastructure by mobilizing willing nurses and other health care professionals to work with their local community programs to increase prevention. More information is available at The National Nurse for Public Health". Finally, Jamie Davis, host of The Nursing Show, accurately and concisely writes New Bill for National Nurse for Public Health. Davis states, "Nurses have a long history of taking the lead in public health initiatives, often working behind the scenes. This would allow Nesseler to help set policy and improve nurses reach to increase health literacy and reach underserved communities, reducing health disparities in the country." He goes on to say, "I urge you to support this movement which pushes nurses to the forefront of public health policy in this country. You can also contact your congressman or woman and tell them you support this bill to create a national nurse for public health position. It will not create a new position which is important in this time of budget cuts and spending oversight. It merely re-designates the current chief nursing officer position. I hope you’ll support this initiative." When the leadership of the Greater Passaic Valley Public Health Nurses Association learned that nurses would be traveling to Capitol Hill to advocate for HR 485, they sent out a “Save The Date” announcement to all twelve members of the New Jersey Congressional Delegation. This prompted two US Representatives to sign on to co-sponsor the bill before the team even arrived in Washington DC! NNNO Advocacy Team Member Pat Van Betten RN, M.Ed sent out an overview of the legislation to colleagues in Nevada. This letter explained the crux of the bill from a historical perspective and asked nurses to consider making $20 contributions and also requested that they call their U.S. Representatives to ask for their support. A recipient of Pat’s letter sent it to the Nevada Nurses Association, an endorsing organization, and the leadership then distributed it to the entire NNA email list. Many organizations and nurse writers have posted excerpts from the National Nurse Newsletter in their newsletters and blogs, including the Florida Nurse Practitioner Network and Digitaldoorway.blogspot.com. Kathy Quan BSN, RN has sent out numerous tweets providing important updates about the campaign. Over 760 are now following at @NationalNurse. The Oregon Nurses Association sends an electronic “Friday News” to several thousand nurses in Oregon and included this link to the podcast, A National Nurse, to better inform their members about the bill. Kathy Anne Mancusi RN, Esq. presented a PowerPoint on The National Nurse Act at a membership meeting of the Baltimore Chapter of the American Association of Legal Nurse Consultants. Leaders from the Nutrition Support Nurses Practice Section of A.S.P.E.N. included information about HR 485 during their legislative visits on the Hill in March to garner support. The Philippine Nurses Association of America wrote a joint resolution in support of HR 485, The National Nurse Act of 2013. Numerous organizations have written individual letters of support including the National Black Nurses Association, the National Alaska Native American Indian Nurses Association, and MammaCare. The Society of Gastroenterology Nurses and Associates (SGNA) wrote to explore ways to get their 63 regional societies involved in supporting the National Nurse for Public Health bill. Many individuals made contributions that allowed supporters to travel to Washington DC. We are enormously grateful to all who have helped and want you to know that as a result of these activities and many more, there are now ___ members of Congress who have signed on to The National Nurse Act of 2013!